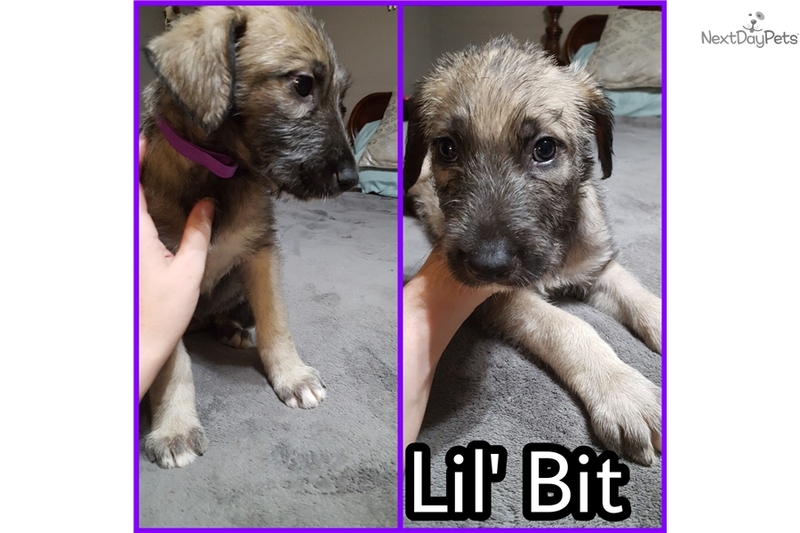 This Irish Wolfhound sold and went to a new family. Little Bit is the smartest of the litter. She started as the smallest but has quickly surpassed 4 of her siblings. She figured out how to get out of her box on day 1, got out of the larger box within 24 hrs, learned how to actively play with humans 5 days ahead of her litter mates, and is very intuitive.